Join us June 7 in Asbury Park as we table at the Jersey Pride Parade. We will be handing out tons of literature, samples of gardein chick’n tenders, and paying people 1$ to watch the 4 minute farm to fridge video. Come join us! To sign up for a volunteer slot click here. We have a lot of great tabling events planned! On May 3 we will be at the Highland Park Street Fair. On May 15 and 16 we will be at the Jersey Shore Fesitval. On June 7 we will be at the Jersey Pride Parade. And on June 14 we will be at the Metuchen Street Fair. When we table, we hand out literature, and we usually provide free samples of vegan food and often show a 4 minute farm to fridge video, or as they call it, a pet per view. If you would like to join us at any of the above events, please send a message and I will send you the link to sign up for a time slot. All the event details can be seen on our Facebook group page as well. NJ Farm Animal Save, along with NY Farm Animal Save, Woodstock Farm Animal Sanctuary and the Animal Protection League of NJ, has created an indiegogo campaign to raise funds in order to get a message of compassion out to over 7.5 million people. We will be placing 160 posters on the PATH trains between NY and NJ for one month. Click here to be taken to the campaign. We need your support to make it happen! Please contribute and please share the link to the campaign on social media. There are some fantastic perks available when you contribute, such as gift certificates to vegan restaurants, and even private tours of animal sanctuaries. All donations are tax deductible. COWSPIRACY: The Sustainability Secret is a groundbreaking feature-length environmental documentary following an intrepid filmmaker as he uncovers the most destructive industry facing the planet today – and investigates why the world’s leading environmental organizations are too afraid to talk about it. 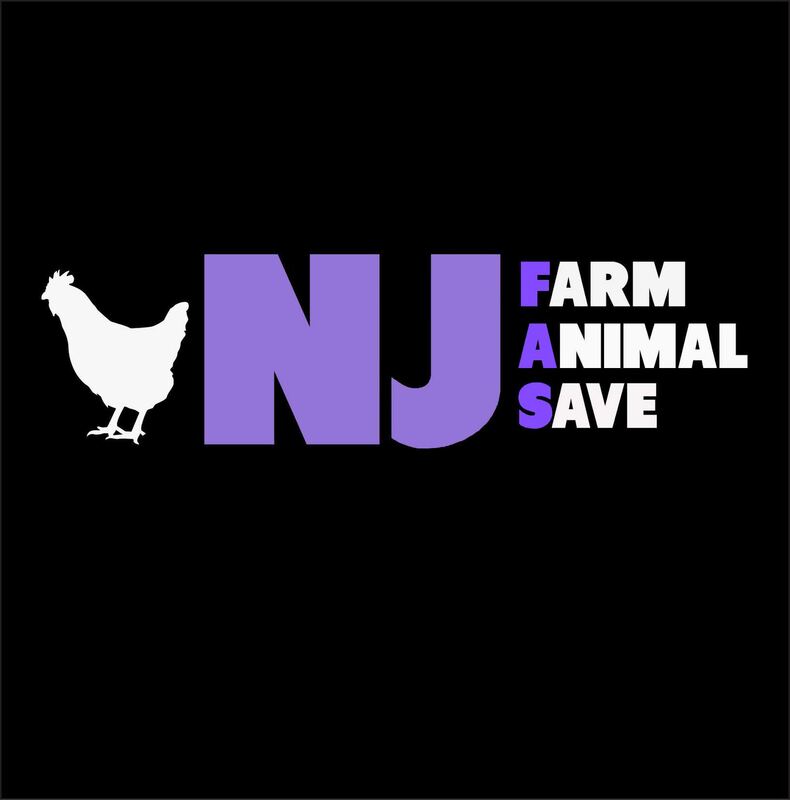 NJ Farm Animal Save will host this free event on Sunday, January 11 at 5:00 pm at the Unitarian Universalist Church in Lincroft as part of their Social Action Film Series. The screening will take place in the Community Room, and vegan refreshments will be provided by members of NJ Farm Animal Save. The film is appropriate for general audiences.We hope to see you there! Please join us for a preThanksgiving dinner at Kaya’s Kitchen on Sat. Nov. 22 at 6pm. If you can come, please click the link below to pay the $15.00 minimum and reserve your spot. Please come join us as we raise public awareness that turkeys are sentient beings and should not be tortured and killed for food. You don’t need to bring anything at all – we will have plenty of signs. Come join us for a night out with great food and great company at New Jersey’s newest vegan restaurant. We only have 25 spots, so please email me if you plan to come to get your name on the list.